When a season doesn’t go as well as you hoped or expected, it’s easy to get caught up analyzing only what went wrong and why, and forget that a lot of good things also happened. I ended 2016 on a high and set my sights on more of the same for 2017. I knew it would be a tough season to follow up on so tried to make my goals more process oriented which would, I hope, lead to a more mistake-free race season (ie no crashing out of the lead this year!). I wanted to continue the improvements in my starts and I wanted to experiment with pushing myself more in strength training and see how that would translate to performance. I did hit a lot of these goals. But a lot of other parts of the season did not go to plan and I would not be progressing if I didn’t look at why and what I can work on to make sure next season is one of further improvement. The tone to my season really happened in the off season. I finished 2016 ecstatic and defiant of anyone’s presumptions or my own questions of retirement. I’m only 37! Haha. As a bike racer, there are so many ways to continue improving. Age or years racing do not change this. I had after all had silly crashes out of the lead a couple times last season, so even by improving my focus late race I could make gains. After a season of intense focus and emotional highs or lows, to be left unstructured in the off season can be overwhelming for an athlete. You aren’t always ready to slow down and you need to channel your energy into something purposeful, so you make yourself busy or have business placed on you and don’t always take the time out you need to reset your mind and body. -20 Celsius training days, little rest with a push on volume that exceeded any other training year as we were laying foundations in year one of a new Olympic quadrennial, but I hadn’t really rested my mind or body during the off season for this training to come. Fatigue built from the training volume, life load and lack of rest which when combined with less disciplined post-Olympic eating habits and increased strength training led to weight gain. Weight gain and fatigue led to less confidence and self-belief and this led to a lack of results when it came time to race. The first US Cup in Bonnelli was a hard race for me mentally. I fought all 90 minutes to keep negative thoughts at bay. 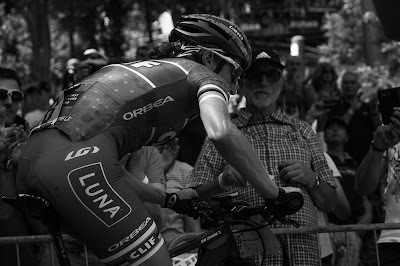 Before Sea Otter, for the first time ever, I was dreading how long 90 minutes would feel. I guess it was safe to say I wasn’t that confident and fired up to race. I could tell myself all the reasons I should have to be confident. I just couldn’t feel it. It sucked. That energy was trouble and I knew it meant going back to my goals and finding out what I really wanted out of my racing, going through all the work I had done to be strong that year. Because I had worked hard. Having people remind me to not overthink and just attack races helped keep it simple. When I got to World Cups I was more excited and if not confident I could win, excited to be a player. When I climbed into the top 5 in Czech and kept moving forward I was pumped. Enter 4 minutes of mechanicals. But overall a great race mentally and physically; although the mechanical may have disguised the mid-race fade that became the trend of my season. Now sent back to the third row, I entered the 2nd world cup nervous and stressed about my poor start position. I was so anxious about moving up to where I wanted to race that I made energy wasting moves that lost me positions. I pushed hard to move up, crashed (sprained a thumb) and then lost forward drive finishing just inside the top 15. So far two World Cup races, two disappointing results for me. It’s amazing how a little adversity and lacking confidence can affect your thinking. You start to expect things to go wrong in your races and build stress for yourself that doesn’t have to be there. Again, this was an attitude I knew I had to address before the next 2 rounds. 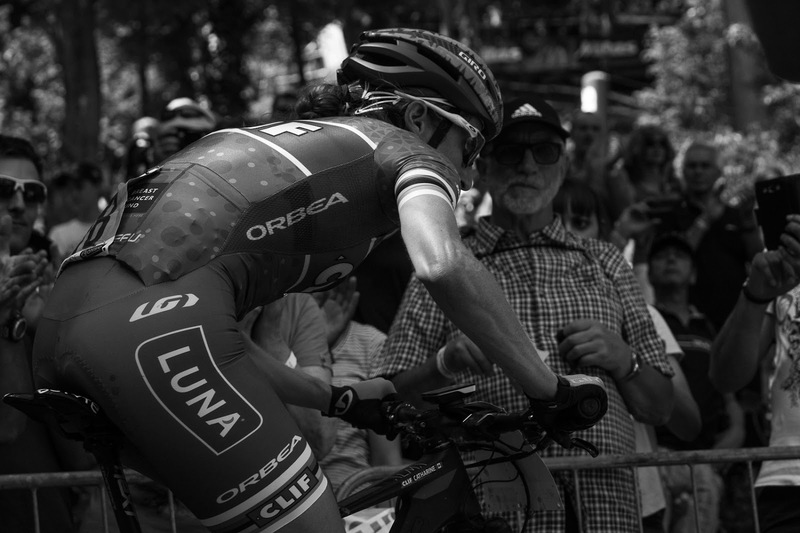 I trained hard, maybe too hard and entered the next race at altitude (Andorra) a little tired and fearful of going too hard and blowing up so I never ended up going hard enough. Now a bit angry with myself I went into Lenzerhide with a “fearless - Relentless” attitude. This worked a bit and I moved up to 10th after posting the fastest lap mid race and then fading back 4 spots. I carried this forward momentum to strong races at Nationals and MSA. I was performing consistently, just not in the positions I was used to or desired. I wanted to be a podium rider and I had done the hard training like every other year to be there. Aside from a mechanical and 21st at round 1 and a stellar 3rd place at round 5 in MSA I was consistently 10—17. Not bad results and by no means do I intend to devalue those placings when you are a rider moving forwards, but I was a rider moving backwards and as horrible as it feels to admit and after all the process goal work I have done in my career I found it hard to really dig and turn myself inside out for a result that didn’t excite me. Meanwhile many women charging to personal bests around me happily overtook me for each position. Rather than adjusting my pacing and expectations to find my best performance on the day I kept trying to force a result above my form and drifting back to an underperformance. I am not saying I should have aimed for less, but rather adjusted my approach to find my best that season regardless of placing. Good race sensations build confidence and that in turn builds towards the results you are seeking. After an improving trend with MSA I was not prepared to sail backwards again in Val di sole. By the time, I got to Australia for the World Championships I felt spent and I spent my two weeks there mentally and physically trying to prime myself to give the best performance I could on race day. I felt great technically on course, had a blast in the team relay, but was just out of mental gas on race day. I was ready to go home and reset. So why wasn’t I the rider of the past 9 seasons if I had done the hard training? I just felt tired. Not over trained, not even under rested by mid-season, just mentally/emotionally tired and missing the fight that has made my career so successful so far. So, does this mean it really is time to retire? Ha ha, No! It means I got my motivating challenge to inspire me for 2018! To take my analysis of this season; the recognition of the toll of life load on training load, the acknowledgement that good training without as much attention and focus on the little details does make a difference and get back to fighting for my best and helping others do the same. Coming up short of one’s expectations is sometimes part of the process, not letting that defeat you is what makes those good races feel amazing. Thanks to the Clif Team, Coach Dan, Keith and Team Canada for another year of awesome support that makes chasing dreams by bike possible.